“Pleasure and Pain represent as twins, since there never is one without the other; and as if they were united back to back, since they are contrary to each other.” Leonardo da Vinci. 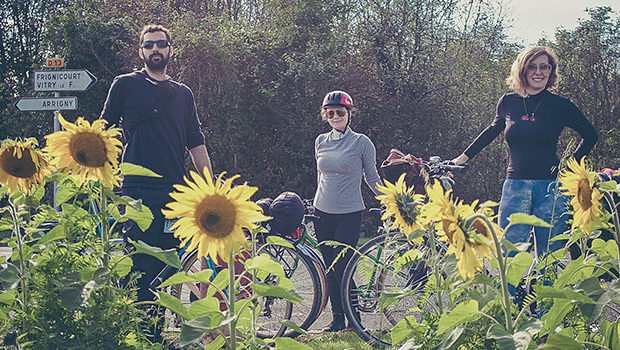 After the experience of traveling by bike alone and then in a duo, it was time to ride with a small group. With my friends Renata, Guilherme and Alfredo, we explored the region of Champagne. 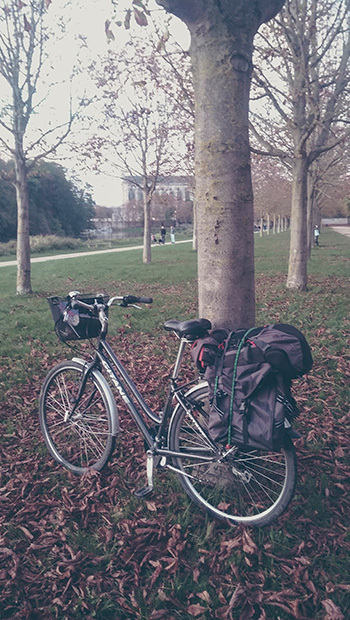 Friday at 7am, following a sad night, I jumped out of bed full of courage and went up biking until Gare de l’est in Paris. There I meet my friends. Each one with their bikes and luggage in panniers. 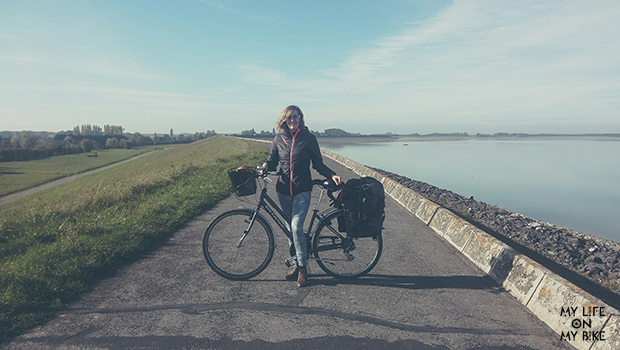 The idea was to make an inter-modal cycle-trip by bike and train during 3 days. 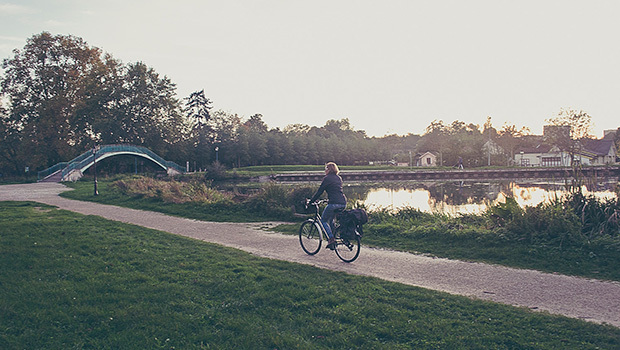 Travelling by bike means to go forward with your own energy. A sense that we can get anywhere organically and truly interacting with unknown locations. We put our bikes on the train and landed in the small town of Dormains. Our plan was to arrive later in the day at Reims, 77km away. 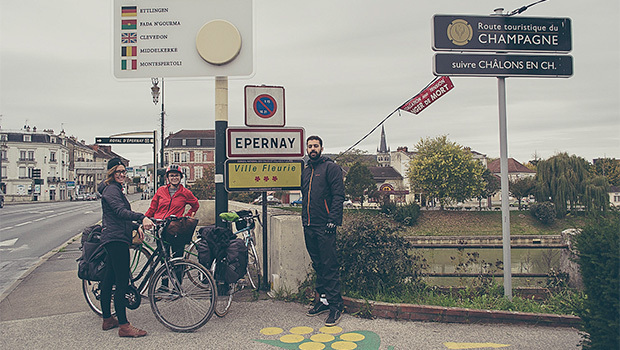 The first step was to bike until the city of Épernay, and until this point it was all ok. The road was surrounded by vineyards that make the most sophisticated drink in the world, the champagne. It was an autumn morning without sunlight and a little melancholic. A quick lunch in Épernay and again we got the road. The surprise was that we would have to go through the Reims Mountains. To be honest, I wasn’t physically prepared for endless climbs. I got tired and exhausted, I wasn’t well emotionally and I was forced to end part of the trip by train when we were 20km from Reims. Part of the group followed by bike and got into trouble when they were only 2km from Reims. They arrived unexpectedly to the highway and got isolated, having to be rescued by the local police. That night we were all physical and emotional exhaustion and we stayed at the hotel re-planning the trip in a way we could avoid the mountains for the next day. 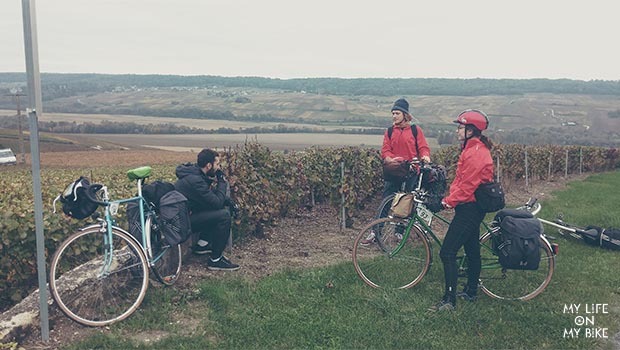 Pizza, champagne and laughing gave us the idea to follow the cycle trip in the southwest region of Champagne. 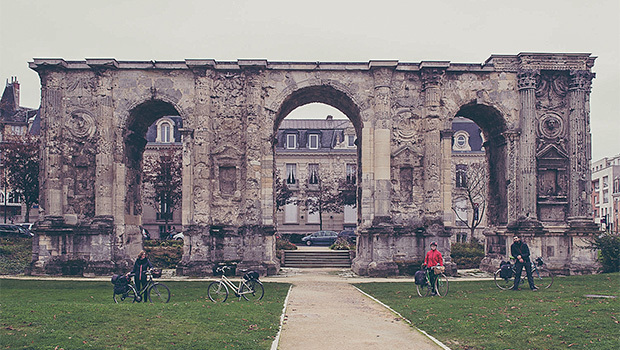 It was a gray Saturday morning, we biked through downtown Reims and then took a train to the city of Saint-Dizier. From this point on, I began to relax. 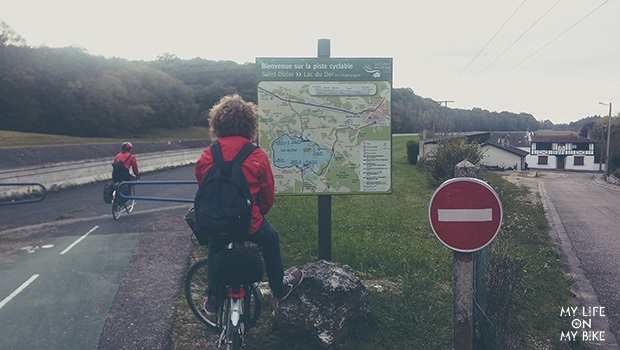 This small and friendly town provided us with real maps to reach the Lac du Der-Chantecoq, the largest artificial lake in Western Europe. 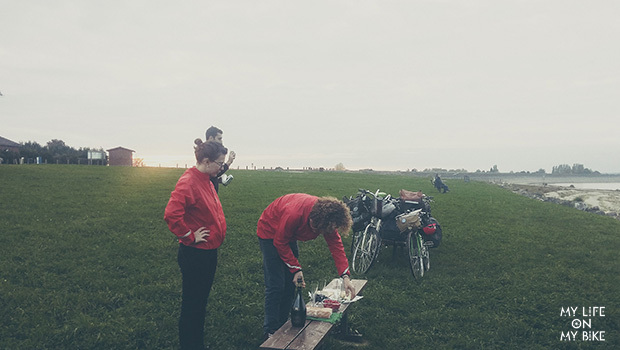 We first biked 12km by a canal, and at the end of the day, provided with a delicious picnic, we finally arrived to the magical lake. We cycled inside intact forests and landscapes that delighted our souls. As a gift, a beautiful sunset, while we enjoyed the picnic until night in front of the lake. Good company, good conversation and delicious bottles of champagne finally made my heart burst with joy. We rested in a cozy hotel in a small village beside the lake. The next day the sun didn’t hesitate to shine. We left in the morning and continue to ride around the lake, which has its entire circumference (18km) of cycle paths. We watched all the time the concentration for the waterfowl migration. That flock of birds forming symmetrical designs in the sky, flying in line, represented for me the struggle for life. I was thrilled and I thank the universe for all living beings on earth. Finishing all the circumference of the lake, we went cycling along small roads and towns. All lovely, a simple beauty that brought calm to my restlessness of being. We had a lunch in the town of Vitry-le-François, then we took a train to Châlons-en-Champagne. 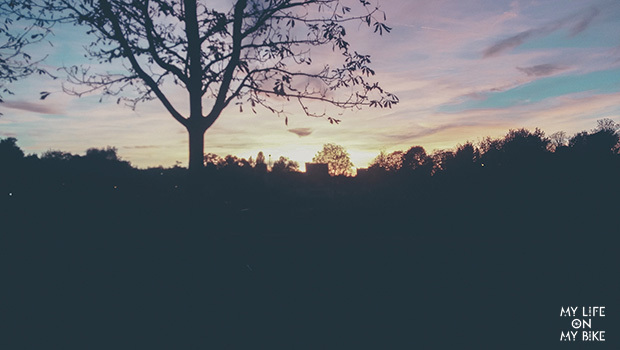 We arrived to Châlon in the afternoon, another beautiful sunset. We were joyful, in a large park, where we could enjoy the spectacle of nature in the midst of autumn. At 7:30pm that Sunday, we took a train back to Paris and got off at Gare de l’est again. 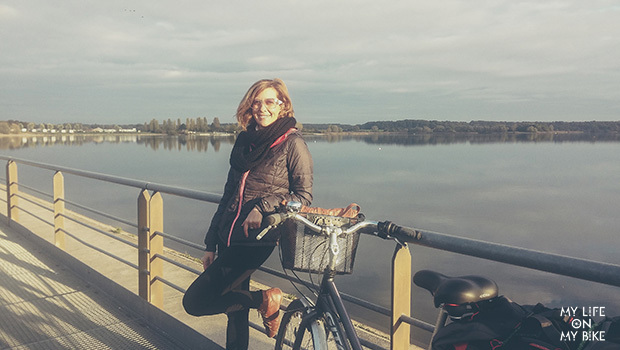 In Paris, while biking back home after having completed 135km over the last 3 days in Champagne, I was really thankful. 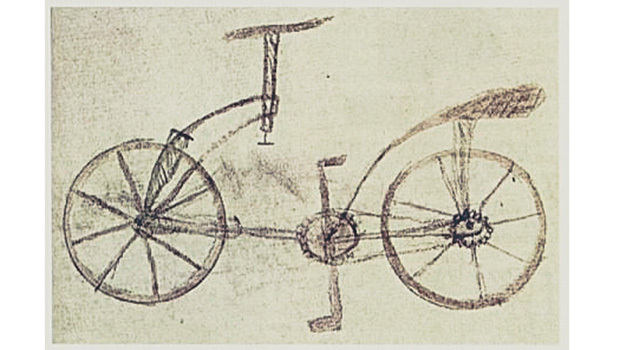 The great genius Leonardo da Vinci came to my mind and I thanked him for having designed the first prototype of a bike in the Middle Age. Cycling is undoubtedly one of the greatest pleasures of my life! The pain? I hope be always brave to support it! 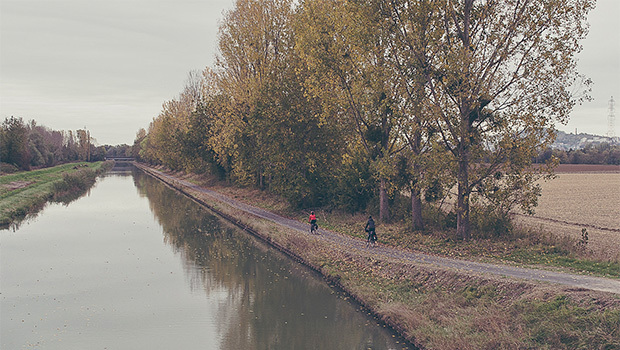 If you want to know more details about this cycle-trips, please check the article we wrote to Conexão Paris here, or watch the video below.